It’s prime ski/snowboard season. 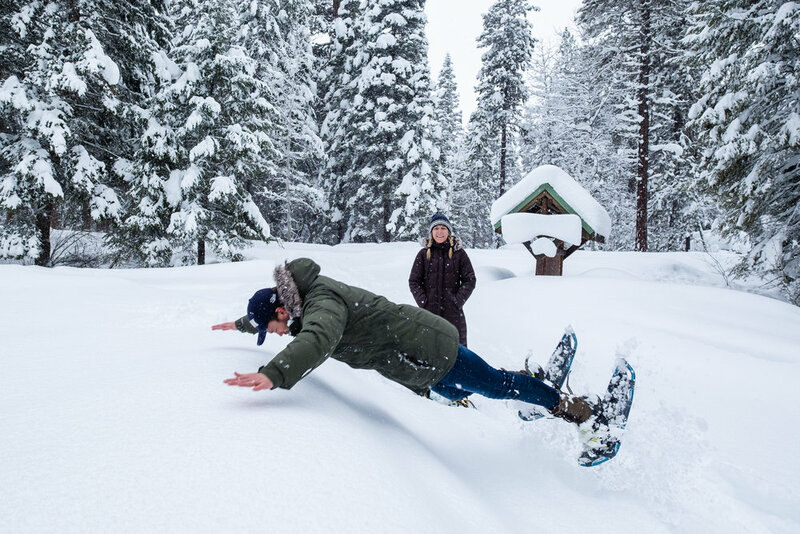 Your friends are heading to tourist-filled spots like Lake Tahoe and Breckenridge, but you’re looking for something different. Somewhere that’s accessible, but off the beaten path. Somewhere that has great food, stunning views, great skiing, but less crowds. Somewhere that truly feels like an ESCAPE. Well friends, we’ve got the perfect place for you. If you’re based in Southern California (like we are), Boise is a dream to travel to. 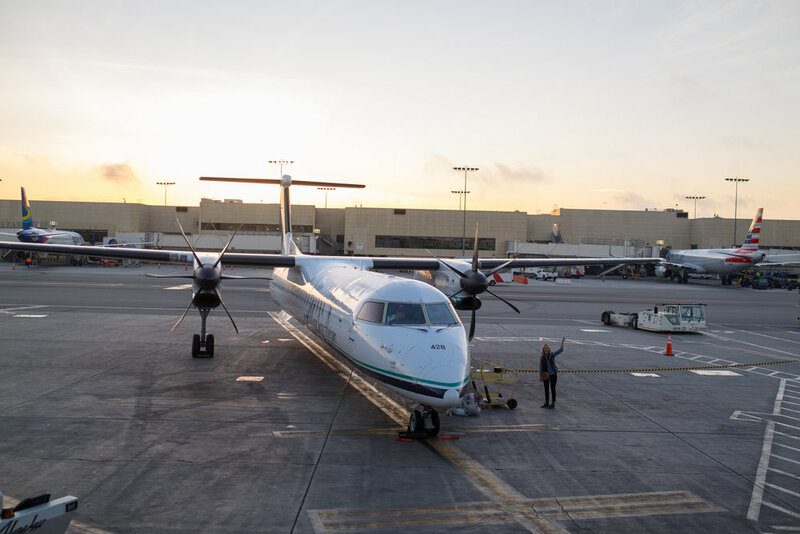 You can find 3+ daily nonstop flights out of LAX that will have you there in just over two hours. We left at 7:10 am, and we were sitting at our favorite Boise pizza spot for lunch (The Wylder - add it to your list). The ease of getting there gives you more time to explore and enjoy Boise! Boise is COOL. Mark our words, this city is on the ups! From a thriving craft brewery scene (Woodland Empire, Cloud 9 Brewery, and Bittercreek Alehouse to name a few), to trendy, innovative restaurants (check out Diablo & Sons Saloon, Fork, and Capitol Cellars), to fun coffee shops (Form & Function was our favorite), lush parks (Camel’s Back Park has panoramic views of the city), historic buildings with stunning architecture (the Boise Train Depot is a MUST), and more! We stayed at the Inn at 500 Capitol, a lovely hotel that has comfortable (and quirky) rooms with a ton of great food options within walking distance. We definitely needed more time in Boise to sample more of the restaurants and breweries… next time! Woodland Empire has some great beer! 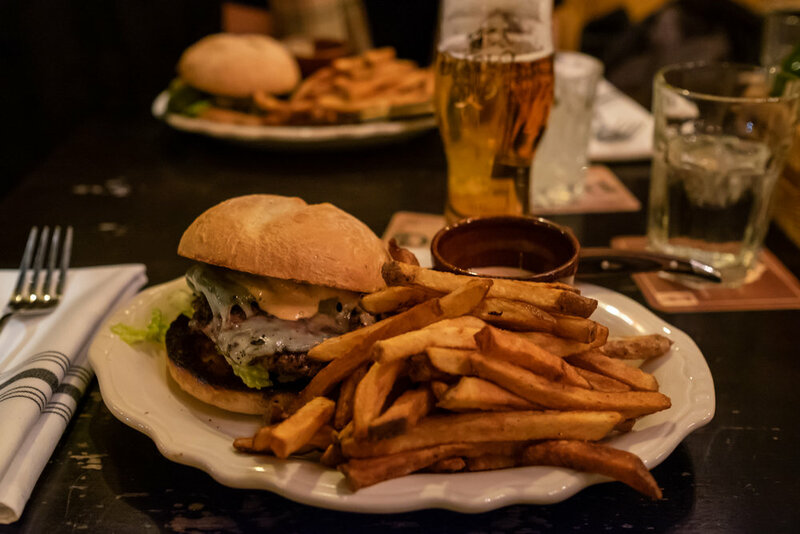 Get the burger at Diablo & Sons. You’re welcome. Form & Function has some yummy coffee! The view from the Boise Depot. Go to the top of the bell tower! McCall is one of those little mountain towns that we’ll be raving about for awhile. 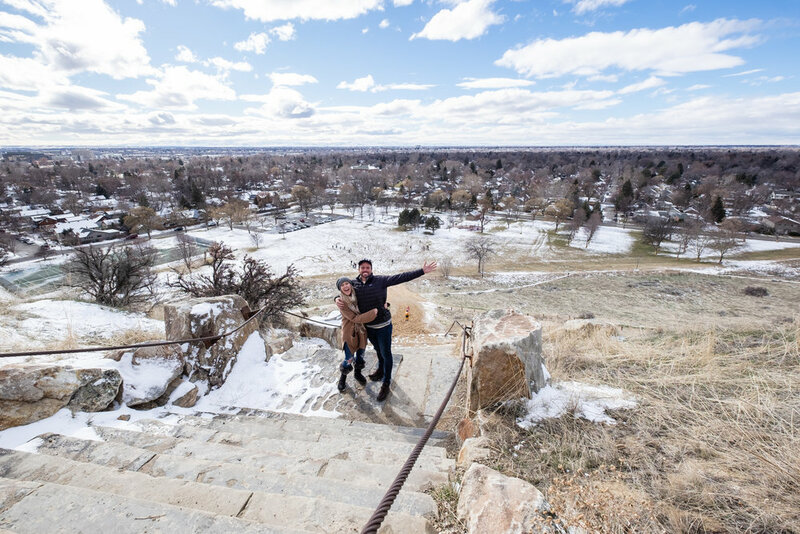 It’s quaint and rural and stunningly beautiful… and it’s an easy 2-hour drive from Boise! 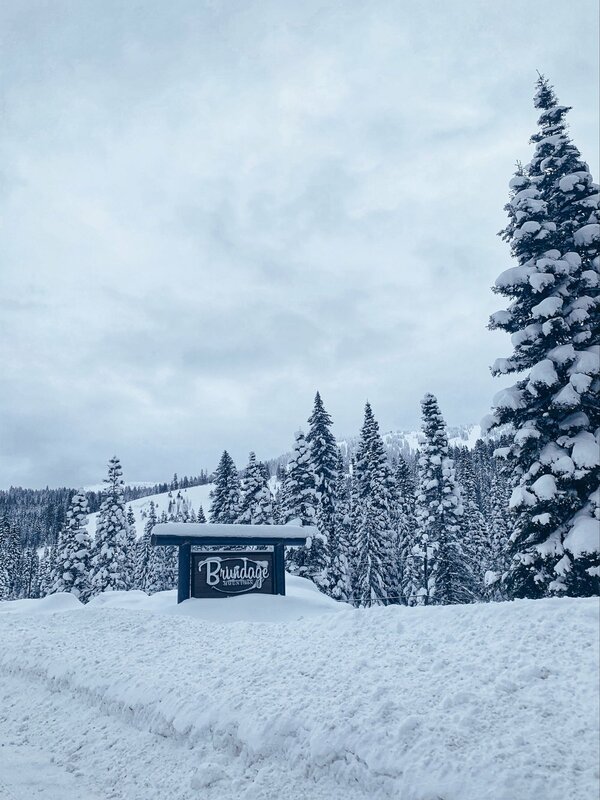 Because it’s relatively under the radar, it’s rarely crowded, and they have snowboard/skiing terrain for all ages and skill levels at the nearby Brundage Mountain Resort. 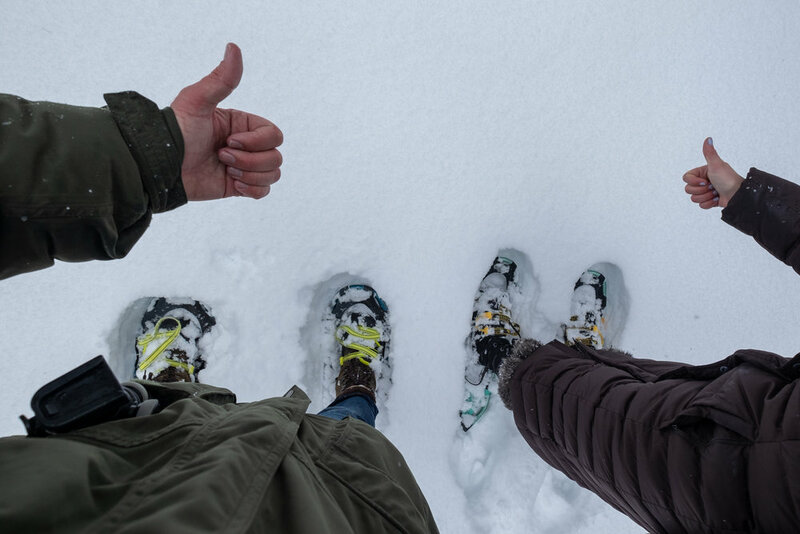 If snowshoeing or cross-country skiing is more your style, there are plenty of tree-lined trails around Ponderosa State Park. We went on a full-day snowmobile excursion with Brundage Mountain Resort that might have been the highlight of our entire trip. We rode snowmobiles for over 80 miles of snow-covered hills and trails. It was breathtaking. 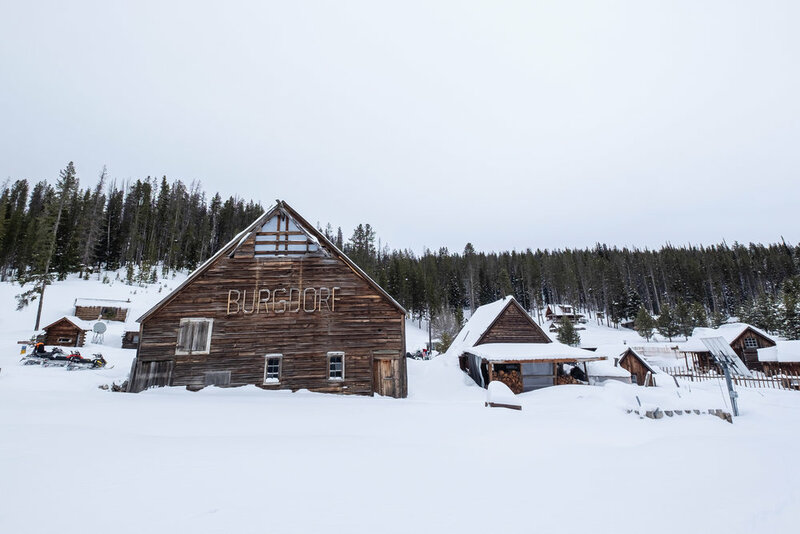 We stopped at the rustic Burgdorf Hot Springs, which is only accessible by snowmobiles in the winter months. We soaked, we ate, and we marveled at the views… Words honestly don’t do justice to this incredible place, so we’ll let the pictures do the talking. In our opinion, it’s worth a trip to Idaho just for this experience. Here’s Alli pushing the pace. She wants to get to the hot springs! I mean, Burgdorf Hot Springs ALONE is incredibly romantic. Beyond that, the Shore Lodge in McCall is perfect for a couple’s getaway. It sits right on Payette Lake, the rooms are spacious and luxurious, and they’re home to one of the best restaurants in Idaho, The Narrows. We had the dreamiest date night there, sipping on craft cocktails, dining on Double R Prime Beef Wet Aged New York Striploin (melt-in-your-mouth delicious), and ended the night with s’mores by the Shore Lodge’s outdoor bonfire. Does it get any more romantic than that?! Big, cozy room with a view! 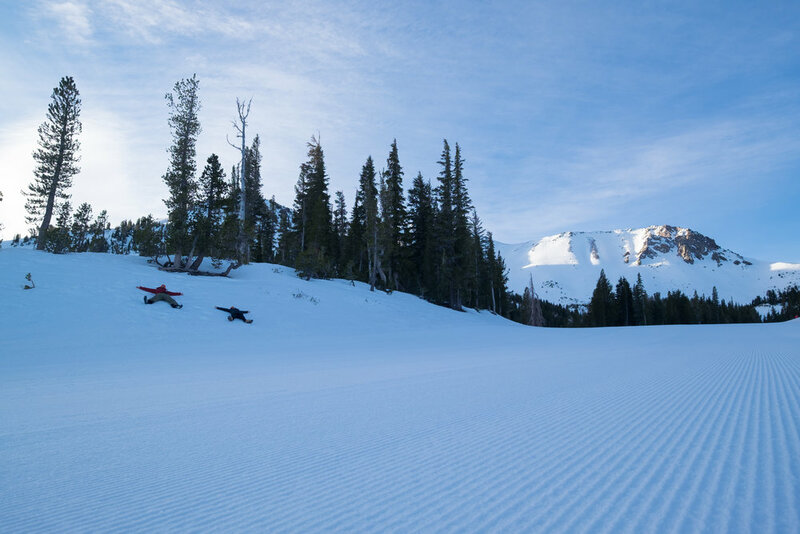 Because McCall isn’t commercialized, it’s significantly more affordable than other popular ski towns. You’ll find lakeview rooms at the Shore Lodge for a fraction of the price of other places. When it comes to dining, restaurants in McCall are reasonably priced and almost all are family owned and operated. 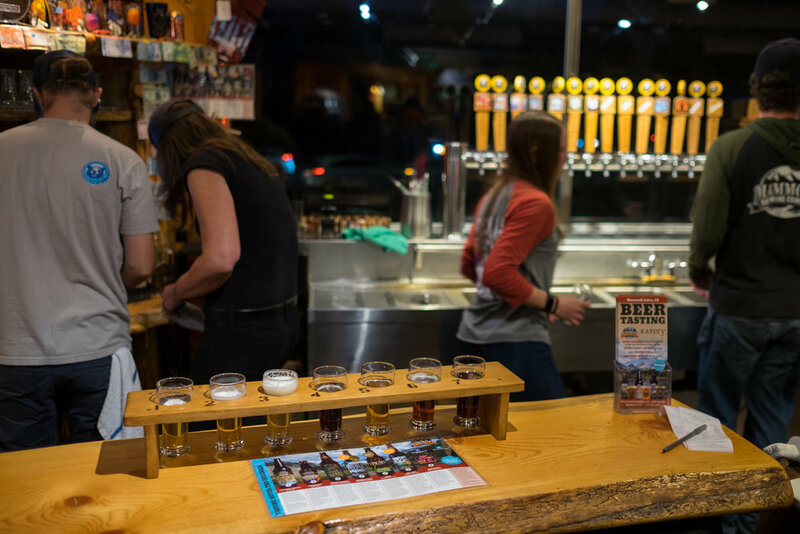 Boise too, is just as reasonable - with hotels, dining, and breweries offering cheap deals and incentives. (Take advantage of it before the word gets out!) You can find nonstop flights to Boise out of LAX for under $200, making the whole trip totally attainable. We need views like this more often! So, what are you waiting for?! Idaho is calling! Head to visitidaho.org for more travel inspiration, as the options to explore and adventure are endless in this stunning state. Leave a comment and let us know which part of Idaho we should explore next! Bobby and Alli here from Traveling Newlyweds, letting you in on a little secret. 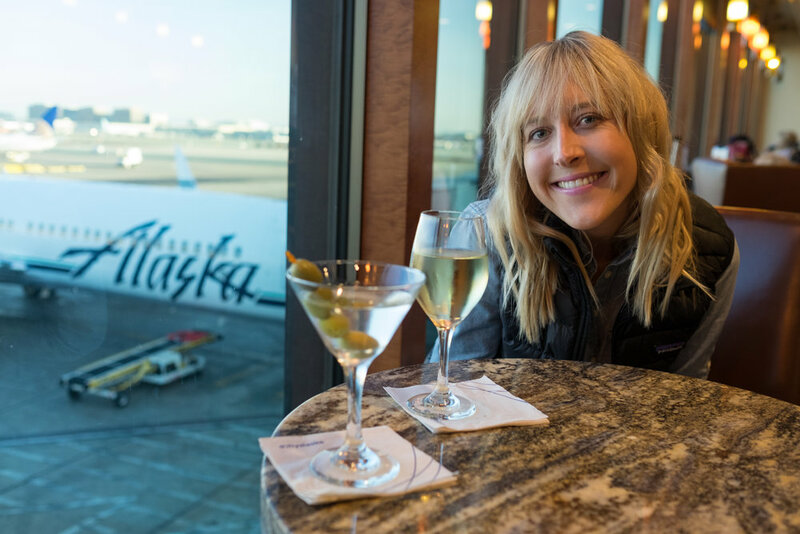 We may talk about how we came to Sun Valley to ski… but we really came to eat. The food in this little romantic town is absolutely incredible, and every place has a story and an ambiance that’s out of a movie!! 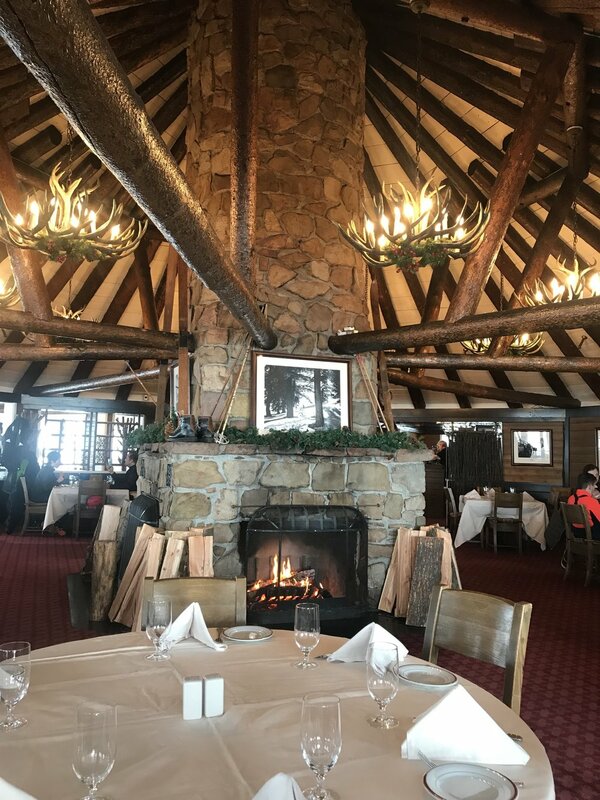 While it’s nearly impossible to narrow down our favorites, we’ve compiled a list of our top ten favorite places to dine in Sun Valley! 1. 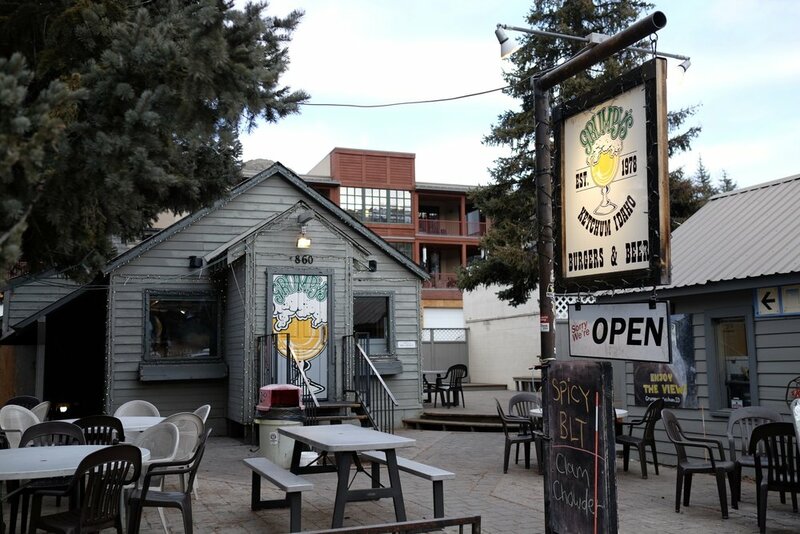 The Pioneer Saloon - If you’ve been to Sun Valley before, chances are you’ve dined at The Pioneer Saloon, and chances are you waited in line at least forty five minutes to do so. (It’s that good!!) Built in the 1940s, The Pioneer Saloon is a hopping spot for locals and visitors alike, and famous for their prime rib. The Western decor and friendly ambiance makes it quite the experience, and their food really is amazing. We ordered as we were directed and were not disappointed - the prime rib and the Jim Spud (the biggest potato you'll ever see). Come hungry... they have big portions, and everything is hearty! 2. The Round House - Fondue by the fire? Say no more! Located at the top of Baldy, it’s quite the experience! We recommend going for a late lunch (they close at 2pm) and ask to be seated by the fire. Take off your boots, warm your toes by the fire, and brace yourself for some of the best fondue you’ll ever have. 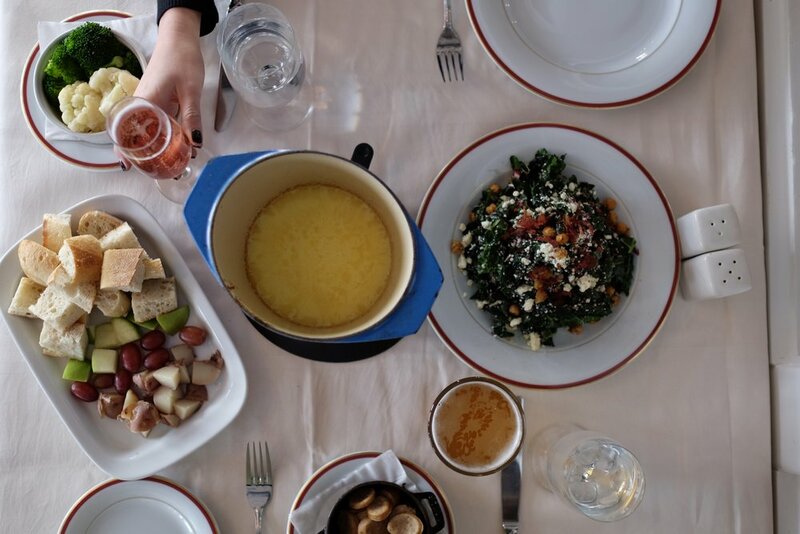 Warning… you may not get back on the slopes due to food coma. It will most likely be time for a nap. 3. Grumpy’s - Hands down the best bang for your buck, and a true “local” institution! Grumpy’s is the perfect stop after an afternoon of skiing. Grab yourself an ice cold beer (after gawking at the wall of empty beer cans), a cheeseburger, and a seat at the bar. You’ll be making friends and swapping stories in no time! 4. Lizzy’s Fresh Coffee - Tucked away in a little strip mall, Lizzy’s is the best-kept secret of Ketchum/Sun Valley! Their coffee bar is only open Monday-Friday 8-11:00 AM, so make sure you plan accordingly. Lizzy’s distributes their coffee to several restaurants and shops around town, so you can catch a glimpse of the roasting process as you sip your coffee. We had a blast chatting with Lizzy herself - she’s the sweetest! 5. 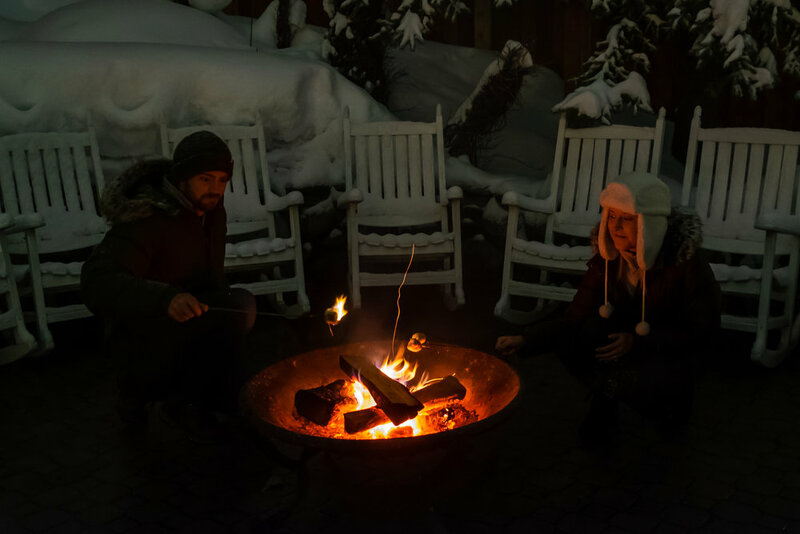 Trail Creek Cabin - This is quite possibly the most romantic date to have in Sun Valley. You can take a horse-drawn sleigh to the historic Trail Creek Cabin for a 3 course dinner. Every element was picture-perfect, from the incredible starry sky on the sleigh ride, the cocktails that warmed us up, and the delicious meal. We highly, highly recommend doing this… But dress warm, the sleigh ride is cold! 6. 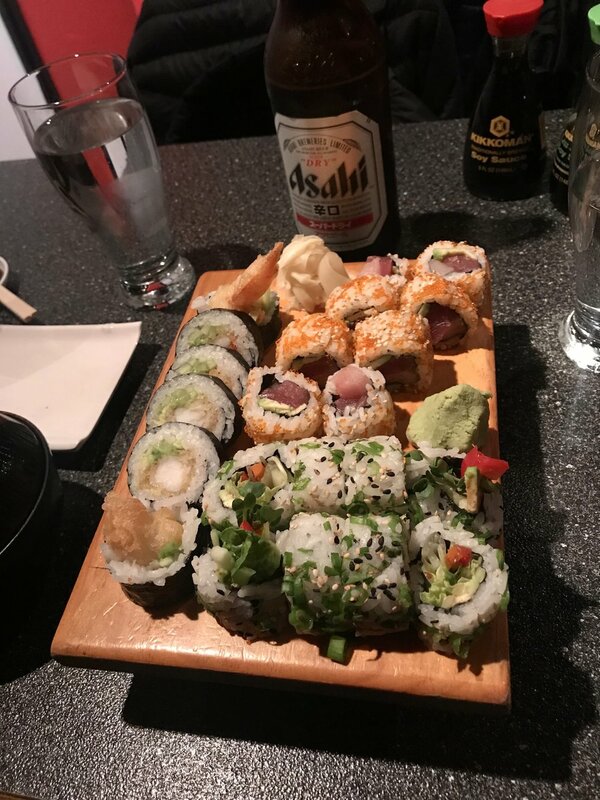 Sushi on Second - Because sushi is ALWAYS a good idea, and this local favorite is one of the best!! We recommend making a reservation in advance, and come hungry - as everything on the menu is good! 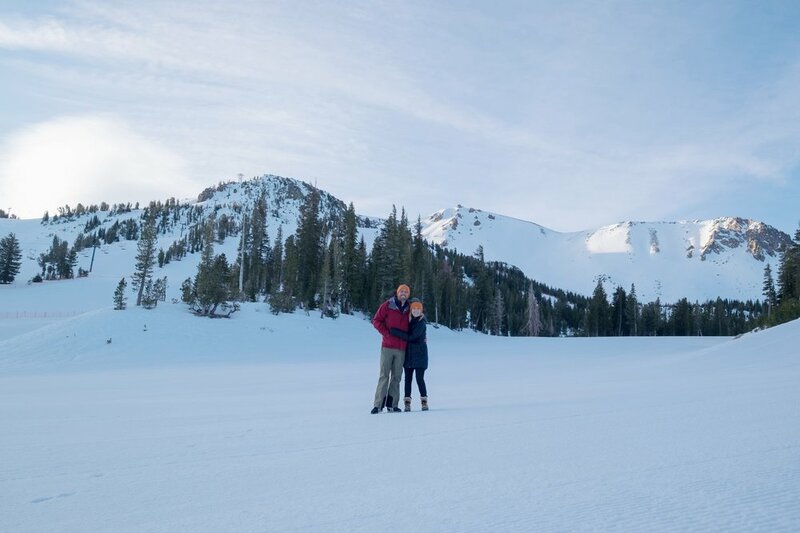 One suggestion would be to explore Ketchum one afternoon, get active with some ice skating at Christina Potter’s Ice Rink as the sun sets, and build up your appetite. We loved the laid-back ambiance of the restaurant, and how friendly and helpful everyone was. Make sure you order their home made ice cream for dessert! 7. Konditorei - This cozy little breakfast spot will have you feeling as though you transported to the Swiss Alps! They boast amazing coffee (they serve Lizzy’s! ), to-die-for baked goods, a huge selection of hot sauces (be careful) and tons of healthy options too! This was one spot we wished they had in California - we’d be regulars!! 8. Enoteca - We’re big Italian food fans, and Enoteca blew us away. We ordered a pizza and a pasta and split them, and everything was amazing. The vibe is modern and clean - perfect spot for a date night! Definitely make a reservation, as it’s one of the most popular restaurants in Sun Valley! 9. Warfield Distillery - After an afternoon on the slopes, nothing sounds better than a whiskey cocktail! Warfield Distillery has some of the best drinks in town, and they actually make their own gin, vodka, and beer! No matter what your cocktail of choice is, they have it and know how to make it well. 10. 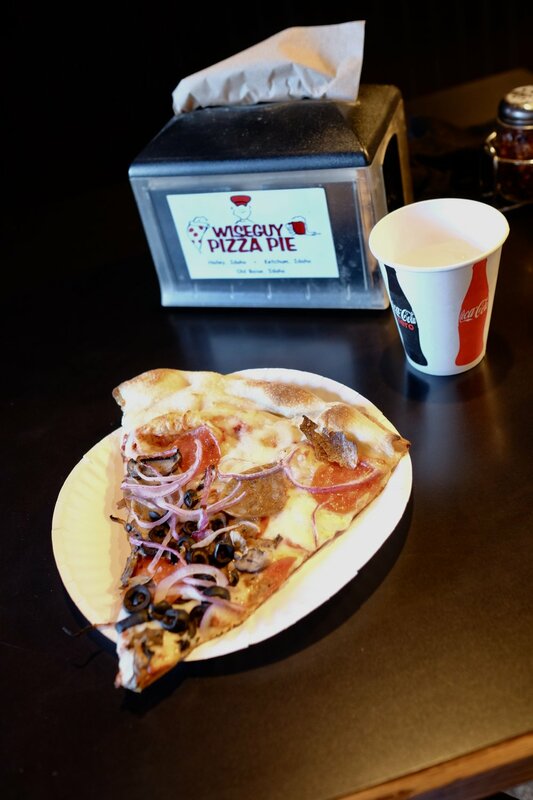 Wiseguy Pizza Pie - If you’re spending the day exploring Ketchum (we had just strolled through some local art galleries) and need a little pit stop, Wiseguy is our recommendation. We’re not sure what the deal is with their crust - but it is INSANE!! We were passing by and rarely say no to a good-looking pizza pie, so we agreed to share one slice. We took one bite and instantly ordered another (and Bobby was begging for a third). It’s SO good. Go. And thank us later.